Last week was my final week living in Singapore. I don’t plan on ever returning. Behind the curtains of the hawker stands and the brand new five billion dollar casino, there is a struggle in Singapore. A struggle that is constrained to the small boundaries of this city-state, but reflects issues rooted in the human experience. What happens when everything goes right? Singapore, in its current political state, has only been around for 50 years. In this short time, it has defied all odds, and become one of the worlds most outstanding countries. It leads the world in education, banking, and shipping, and has created an everyday existence of unrivaled cleanliness, safety and stability. In Singapore, even petty theft is uncommon. One answer is pride. Every student in Singapore starts their day by vocally and harmoniously declaring their pride in their country. Similarly, they start each class by verbally acknowledging their teachers. Unlike most schools, Singapore mandates curriculum on empathy and cultural understanding. The wars of foreign countries are studied in school so that the mistakes of others will not be repeated by Singaporeans. After graduating, every male citizen is required to do active service in the military. Historically, Singapore hasn’t been a warring nation, so the excess manpower in the military is assigned to civil work. Again, pride is the outcome. In Singapore, people simply do as they should do. They actually follow the golden rule. Singapore was founded with an extreme sense of the necessity of survival. From the beginning, government officials declared that they would do whatever was necessary to survive as an independent nation. Whatever was necessary. The leaders of Singapore’s educational system saw the importance of math and science, and built a system almost exclusively around those two areas. The political leaders saw the benefits of being inclusive, and uninhibitedly opened the country’s borders to foreigners. The leaders understood the importance of tourism dollars, and literally added land to their island city-state in order to build a world class casino. Singapore’s leaders set Key Performance Indicators (KPIs) to grade their government’s performance, and within 50 short years surpassed them all. In essence, everything went right. This, I believe, is the reason Singapore is a country in struggle. In 2001, Singaporean student, Lysher Loh made national news after committing suicide. Lysher was a 10-year-old girl. She cited stress at school as the reason for taking her life. Unfortunately, her case is not an isolated one. The suicide rate in Singapore is rising at an unprecedented 29% a year. With people between the ages of 20-29, the increase is a horrifying 80%. In a school system built to produce scientists, bankers and mathematicians, an artsy student was deemed a failure. The school system is one of the world’s most efficient, but it is only able to produce a limited type of human widgets. When the census was taken in 2011, it was revealed that only about 60% of Singapore’s population were Singaporean. The rest were foreigners. Singapore has become so open, that outsiders are getting close to outnumbering locals. Like all current global citizens, modern Singaporeans are living in a time of change. New media is helping to facilitate conversations that used to happen in small groups behind closed doors. For the first time, open letters to the heads of education are going viral on Facebook, and political critiques are spreading on YouTube. The conversation is spreading, and fueled by the Internet, the voices are getting louder. So Why Won’t You Be Returning? I would describe my time living in Singapore as sterile. Nothing particularly bad happened, but it wasn’t particularly good either. Daily life was convenient, but it was only the bare minimum of living. I had everything I needed to be comfortable, but I didn’t have anything that inspired me. Even though there wasn’t a language barrier, I encountered a hefty communication barrier. In my experience, people were polite but conversations rarely moved past surface-level niceties. Of the conversations that I took part in and overheard, the vast majority of them were about work. I routinely watched people work 15 hours days and stress over strict deadlines. Yes it was living, and they were making progress, but it wasn’t holistic and people openly admitted to me that it wasn’t fulfilling. There are an incredible amount of amazing places in the world. I don’t want to waste my limited time and resources in places that doesn’t make me better. So then, what happens when everything goes right? In the case of Singapore, it meant that more serious questions had to be asked. The country had accomplished amazing feats in some of the world’s most competitive and lucrative industries, but at what cost? When a country is founded on the idea of surviving regardless of the cost, what happens when it thrives? In the case of Singapore, its spirit stagnates. 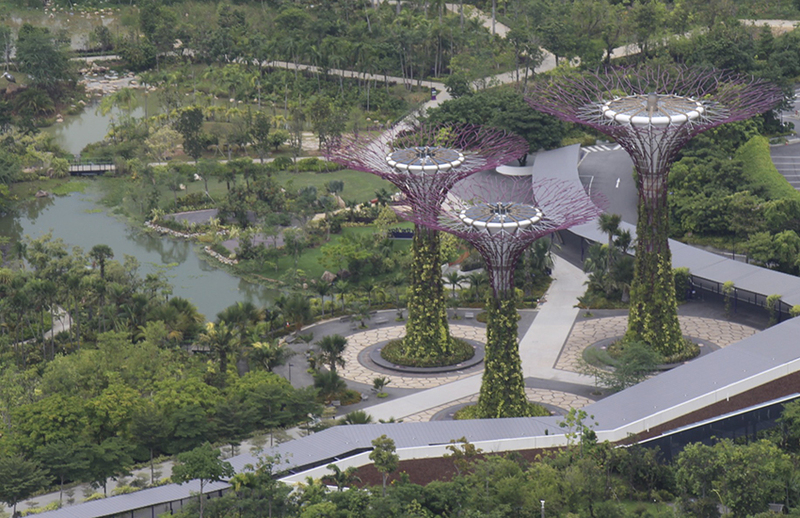 Post image is of man-made gardens near downtown Singapore. It seemed fitting to include a photo of optimized nature with this post. Update: Wow the response to this has been tremendous! Thanks to each of you that took the time to leave your thoughts. I have been reading all of your feedback and comments. In the original version of this article I incorrectly stated the year of Lysher Loh’s suicide as well as the scope of mandatory military service. I have now updated that and my sources. Despite that factual error on my part, I believe all of the points in this article still stand. Thanks again! I am an Indonesian but I’ve been studying in Singapore for 10 years and I couldn’t agree more too. It’s crazy living here where there are like so many foreigners and everyone is chasing deadlines even in school. The pace of life is crazy. Suffocating. I am really hoping to leave here once I’ve obtained my Diploma. P.S I REALLY LOVE YOUR BLOG. KEEP POSTING ! This is one of my favorite posts from you. I couldn’t agree more. I was there too for a few weeks doing visa runs from Thailand. I have some wonderful Singaporean friends. However, I won’t be returning to Singapore anytime soon.